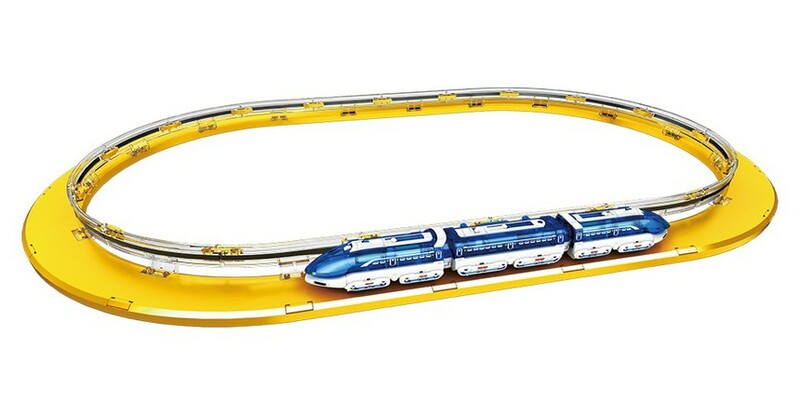 This fun new maglev toy train by OWI has an electromagnet, propulsion magnets and levitation magnets to create propulsion. 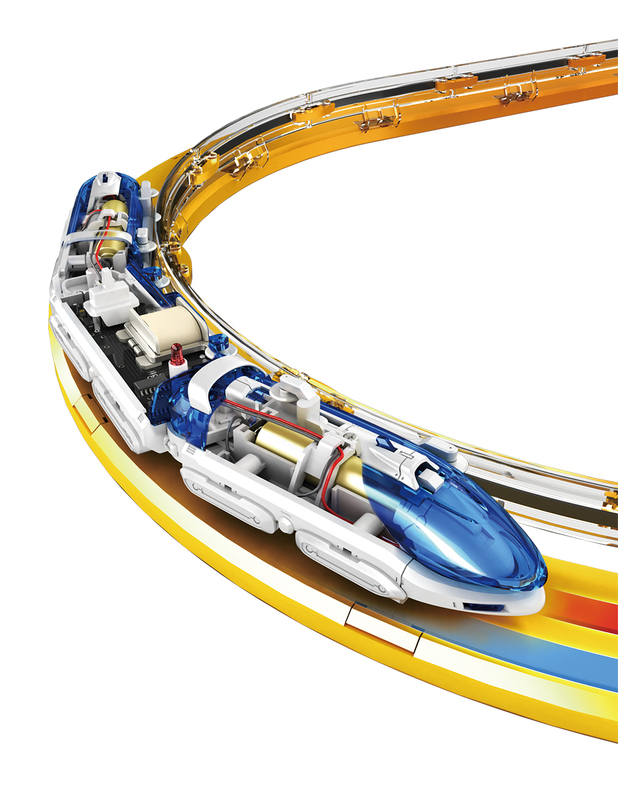 The magnetic strips that are placed inside the guideway makes the Magnetic Levitation Express train to hover and it allows it to run smoothly at high speeds. This kit has 155 assembly parts that you need to put together. 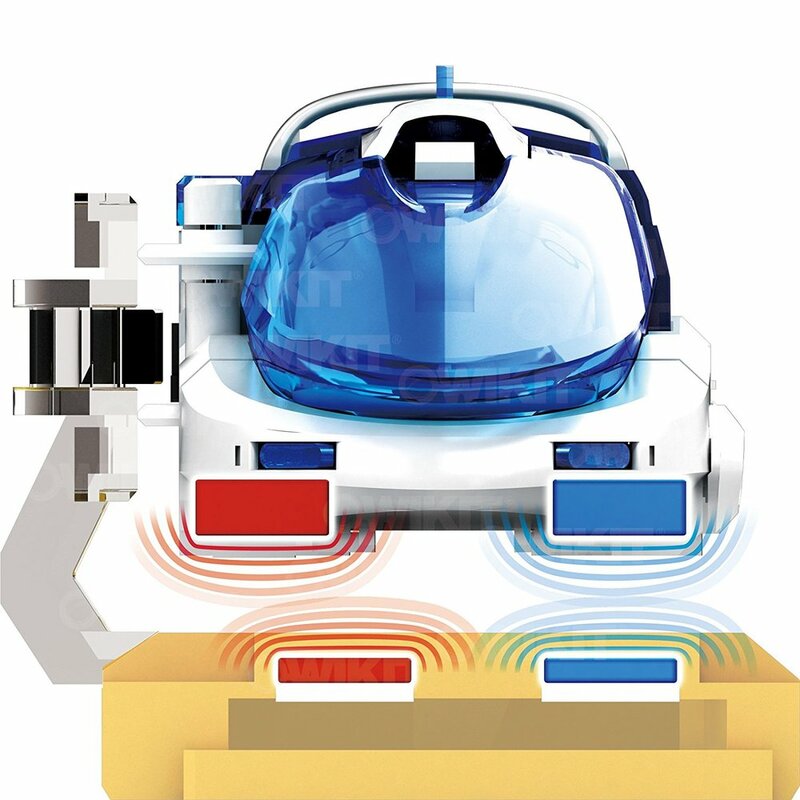 This kit is a great demonstration for magnetic levitation technology, environmentally-friendly electric mobility and at the same time it's fun for all ages. Great present for kids and tech-savvy people alike. Check the video below to see how easy it is to assembly it.